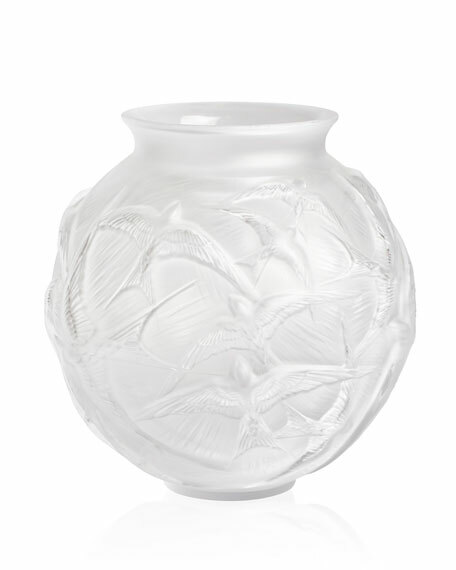 Taking inspiration from an iconic shape used by founder René Lalique, the medium Hirondelles vase features swirls of swallows captured in flight. Exquisitely carved details echo the movement of wind beneath their wings, creating a captivating and striking design. For in-store inquiries, use sku #2504668.